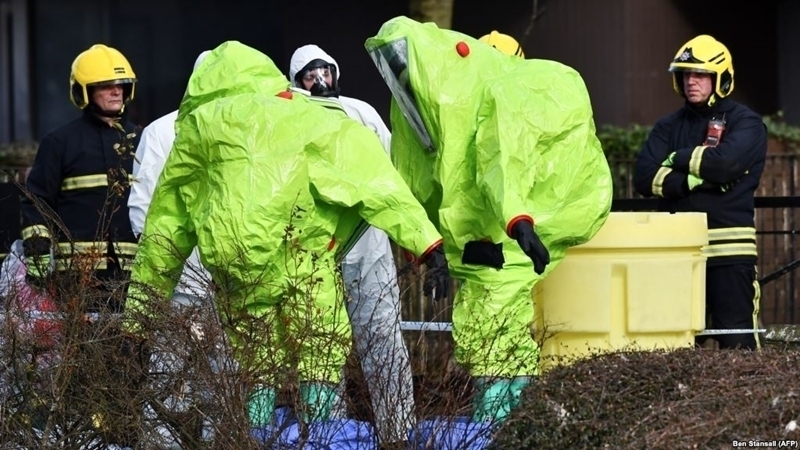 The report of Organization for the Prohibition of Chemical Weapons (OPCW) confirms the UK's statement on the nerve agent which was used to poison ex-spy Sergei Skripal and his daughter in Salisbury, according to the official representative of the US State Department Heather Nauert. “The OPCW’s independent report, released last week, confirms the UK lab analysis regarding the identity of the chemical used in Salisbury. We applaud the OPCW’s expeditious support and technical efforts to uncover the facts,” the US State Department Press Service quotes Nauert. She noted that the US supports the UK's assessment that Russia is responsible for poisoning the ex-spy. "Only the Government of Russia has the motive, means, and record to conduct such an attack. Russia developed the type of military-grade nerve agent used in Salisbury and has a record of conducting state-sponsored assassinations," Neuert stressed. Reference: March 5, Skripal, convicted in Russia for espionage in favor of London, and his daughter were hospitalized in critical condition after poisoning in the British city of Salisbury. Because of the poisoning of Sergey Skripal and his daughter, Russian diplomats were expelled from such countries as Great Britain, Estonia, Latvia, Croatia, Sweden, Romania, Finland, Netherlands, Denmark, Italy, Spain, Czech Republic, Lithuania, France, Poland, Germany, Canada, USA, Ukraine, Australia and the Republic of Macedonia. On March 29, Julia Skripal emerged from a critical condition. According to some sources, the poisoning of Julia Skripal was not as strong as that of her father, as she even came to the senses after the incident. According to British intelligence, the nerve agent "Novichok", used to poison Skripal and his daughter, was manufactured at the Russian research base Shihany in the Saratov region.